This talis has the feel of silk without the price. Made of raw silk. Solid Color Blue / Silver or Blue/Gold 3 Pc. 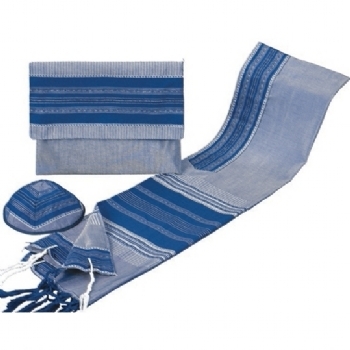 Tallit Set adorned with solid color fringes.